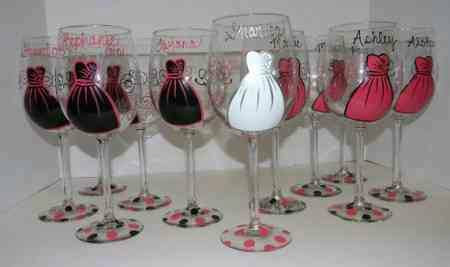 What a cute a fun thing to do for your bridesmaids! I love these glasses that were found on Pinterest. What a great way to give a gift to your girl’s when you ask them to be your bridesmaid! Then bring them all together for a fun bachelorette party or bridal shower! Have to have them? Get them here.